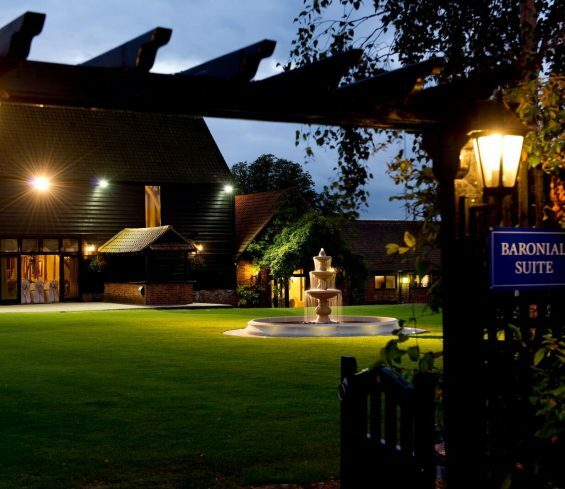 2019 Award Winner For The Best Countryside Wedding Venue In Britain. 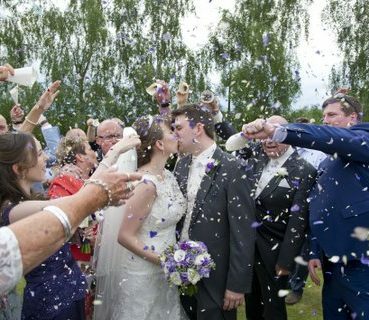 We are delighted to be able to offer a fully inclusive wedding package, that we feel is tremendous value. Couple this with the fact that the entire wedding, ceremony and bedrooms are in the same location, it is no wonder we have become so popular. 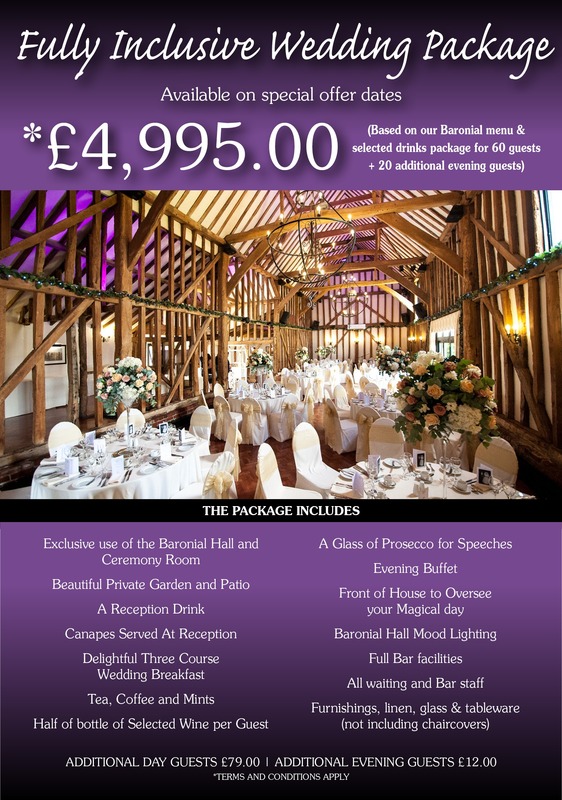 Our special offers include the following: Exclusive use of the Baronial Hall and Ceremony Room: Private Bar: Illuminated Private Gardens: Reception Drink: Canapes served at reception: Wedding Breakfast: Half a bottle of selected Wine per Guest: A Glass of Prosecco for Speeches: Tasty Evening Buffet: dedicated front of house: all waiting and bar staff: furnishings, linen, and glass & tableware. 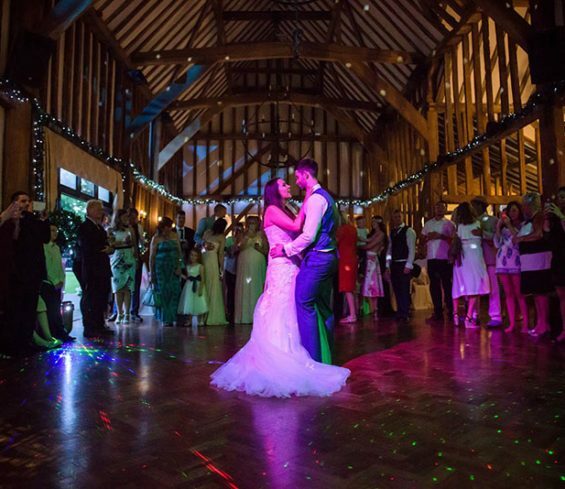 We stage weddings every day of the week and every week of the year, so we are extremely aware of what it takes to make your special day memorable. Please complete the small form and a copy of our wedding brochure will be available to download instantly.